Teresa Nance returns to dry land after checking on her flooded home in Lumberton, N.C., on Wednesday. 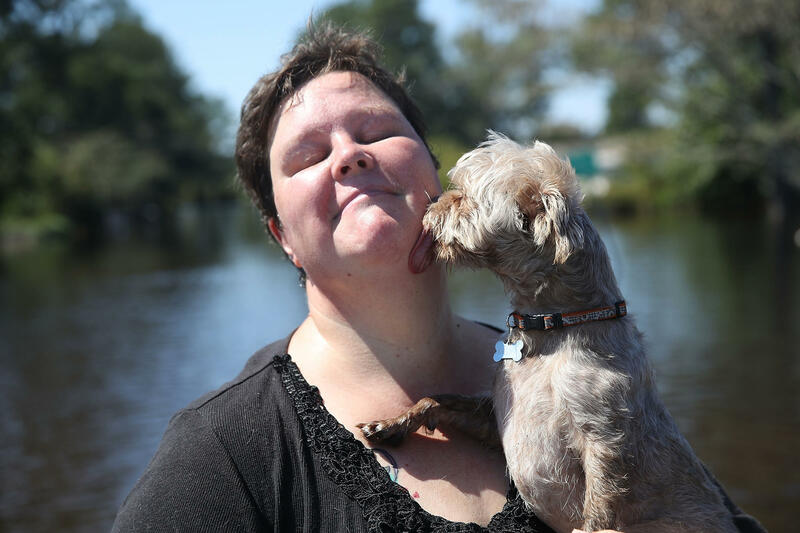 In Horry County, S.C., two women being taken for mental health care died on Tuesday night when the sheriff's office van they were being transported in met floodwaters. The deputies transporting the two women reportedly drove around barriers and then were surprised by the flood. Authorities told media outlets that the deputies couldn't get the rear doors open, and the two patients drowned inside the van. The deputies climbed on top of the van and were rescued; they have been placed on administrative leave. At least 37 people have died in three states because of the storm; 24 of those died in vehicles, the AP reports. Nearly 3 feet of rain fell in some parts of North Carolina and nearly 2 feet in areas of South Carolina. And while sunny skies have returned, the water problems are just beginning. 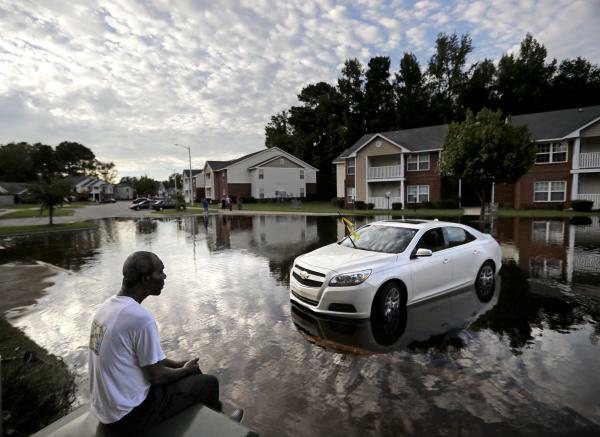 "Understand: There is a lot of water inland, and it is continuing to make its way downstream," county manager (in Wilmington, N.C.) Chris Coudreit said, according to the AP. Amtrak announced that it will resume passenger train service in and through North Carolina on Thursday. While most people were able to evacuate, that wasn't the case with livestock. An estimated 3.4 million chickens and 5,500 hogs died in the flooding, according to preliminary estimates from the North Carolina Department of Agriculture and Consumer Services. The department says it is dispatching inspectors to start assessing damage and ensure food safety. Agriculture is the biggest industry in North Carolina. The state ranks No. 1 in poultry and egg cash receipts, and second in swine. It is also the top producer of tobacco, but estimates for crop losses aren't yet available. President Trump visited both North and South Carolina on Wednesday. 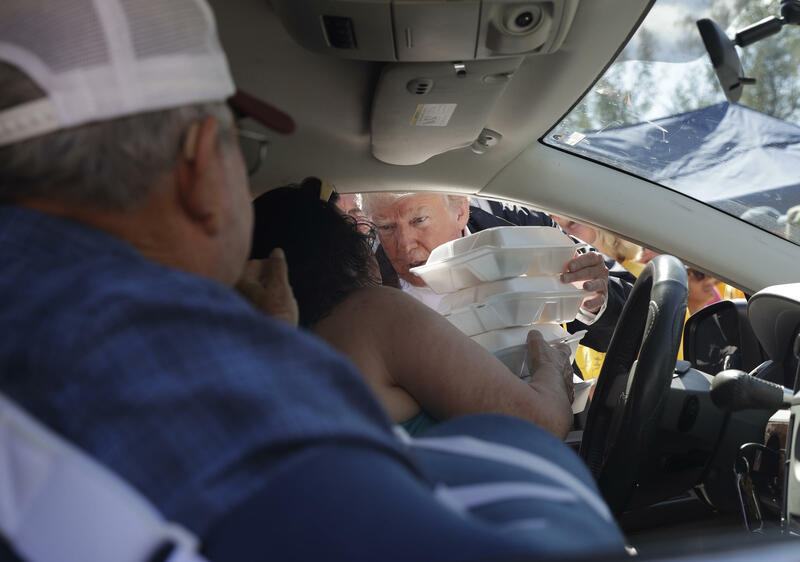 He called Florence "one of the most powerful and devastating storms ever to hit our country" and promised federal support for disaster relief. "People don't realize how a very difficult phase is beginning today, with the beautiful sunshine," he added. "We'll have it all taken care of." "The Waccamaw is forecast to reach 20.4 feet on Monday morning and keep rising. Conway city leaders have said the river could surge past 22 feet late next week, sending enough water into neighborhoods to damage almost 1,000 homes," according to the Charleston Post and Courier. That would put water levels about 2 feet higher than the river's level just two years ago during Hurricane Matthew.